“If you’d been rocketed into space against your will, you might be a little bitter too. Bitter American is our long-overdue tribute to unsung, unwitting heroes everywhere. 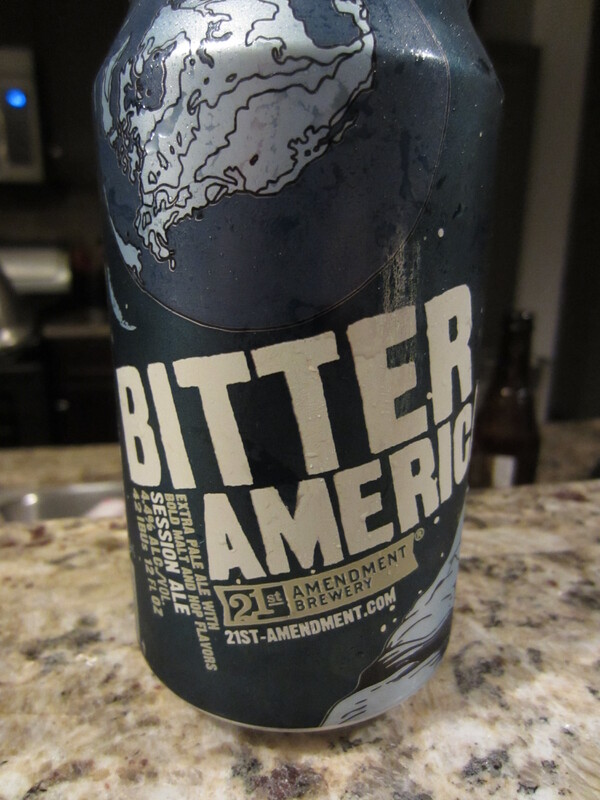 This American session ale packs a lot of hop and malt flavor into a refreshingly lower-alcohol brew, making it the perfect beer to have on hand when you have a little history to make. Poured from a 12 oz can into my Libbey “Craft Beer” glass. The beer is a little hazy, honey-golden in color. 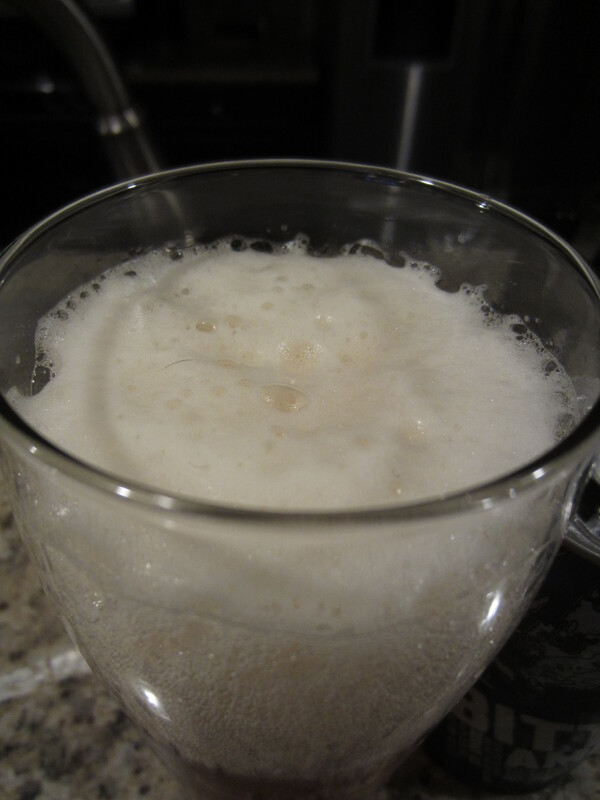 An ample off-white head is poured, partly buy a super-aggressive pour to fill the 20 oz glass. 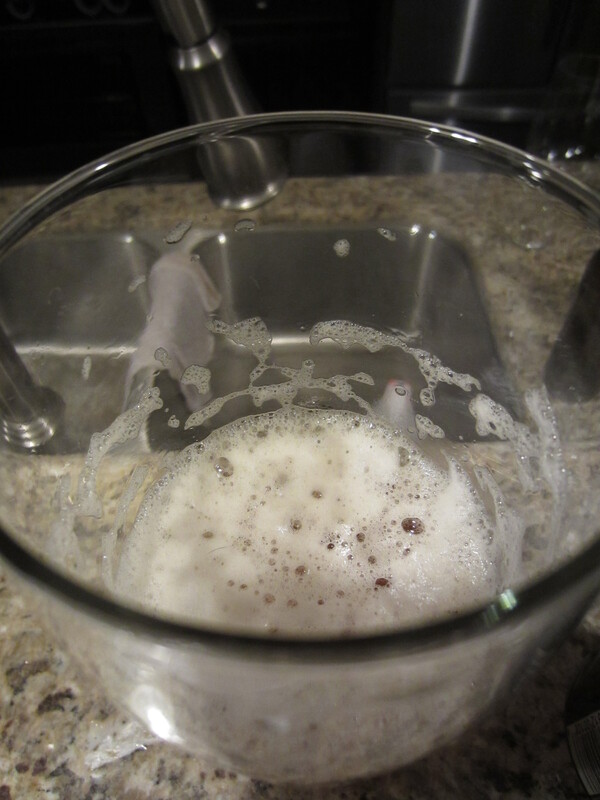 Good lacing is left on the glass, and light carbonation is visible. A blend of hop aromas are the upfront scents; tropical fruit citrus, floral notes, and a bit of grass are all present. Some light caramel sweetness from the malt base is also given. 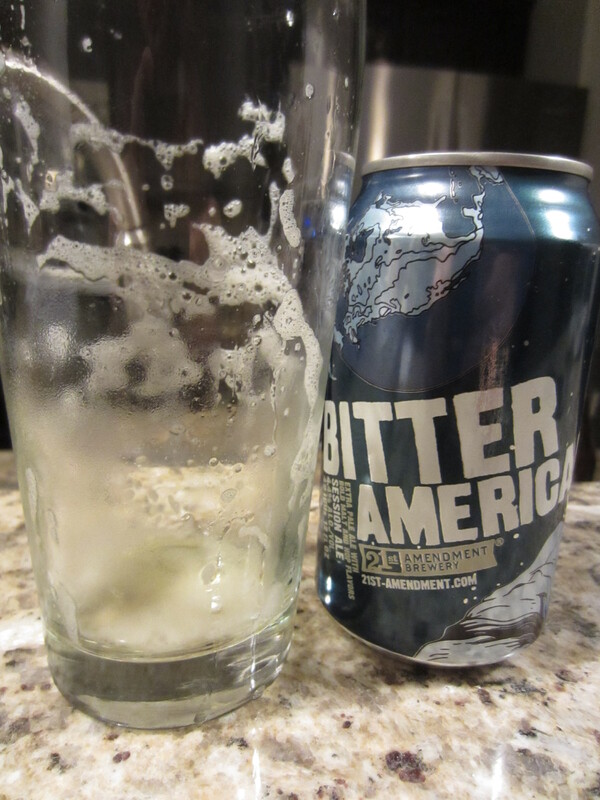 Bitter American is medium-thin bodied, with moderate carbonation and medium-light bitterness. 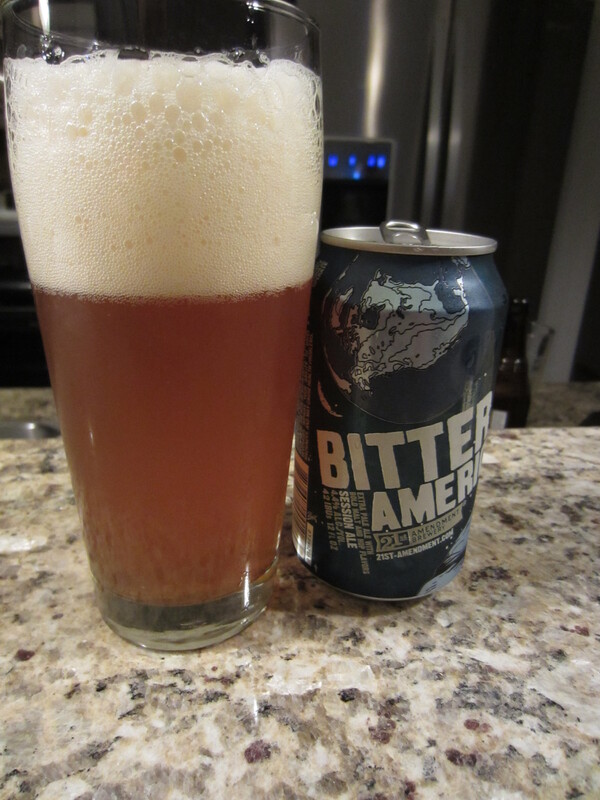 The flavors are basically an exact carry over from the nose, maybe a little more floral hop-forward in the taste. It certainly drinks like a session pale ale, offering a crisp and dry finish, with just light lingering hop flavor and bitterness.